For some tasks, users might have a list of values in Excel that they'd like to use to filter data in Finance and Operations. 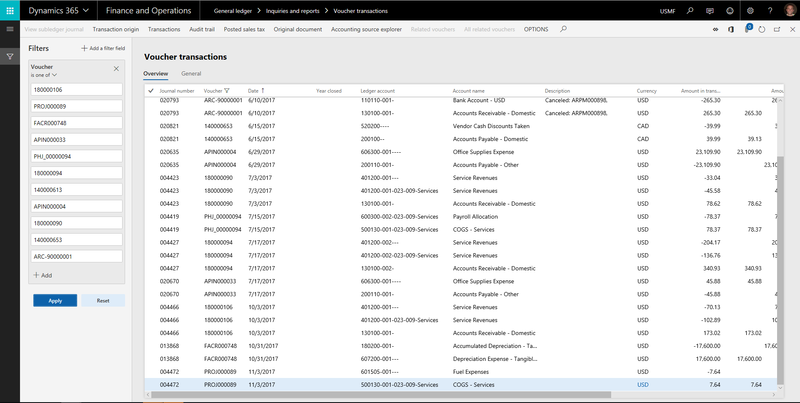 As an example, a finance user might have identified a set of vouchers from a report that need additional research in the system, and it would be ideal for this user to be able to copy the list directly from Excel into a filter field in Finance and Operations. 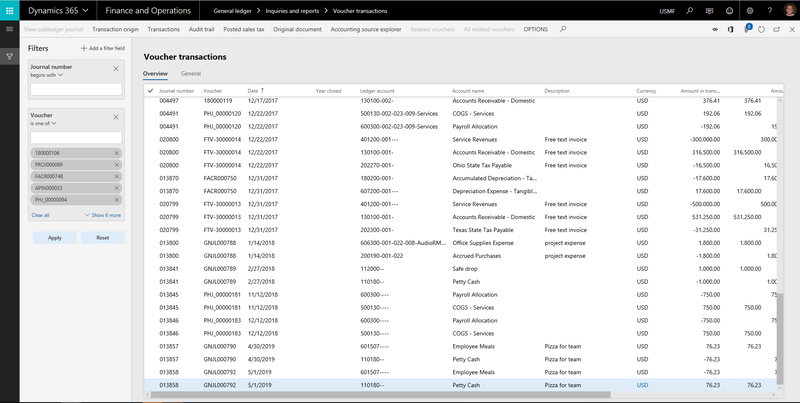 Starting in Platform Update 22, the "is one of" operator in the Filter Pane and grid column filtering now recognizes lists copied from Excel so that they can be pasted directly into a filter field. 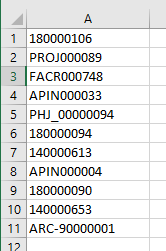 This includes a collection of values copied from different rows and columns in Excel. If you've enabled the Optimized "is one of" filtering experience that is also available in Platform Update 22, the visualization is even nicer, as shown in the following image.